Wire Ring Stainless Steel Sign & Card Holder | 6" High | Weighted Base | Clip Strip Corp. 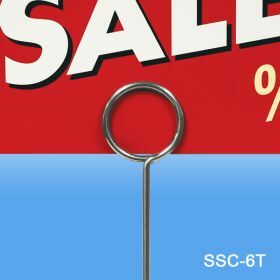 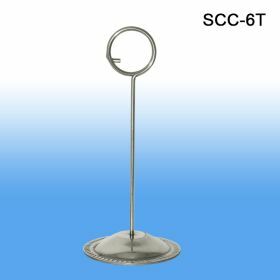 Minimum quantity for "Wire Ring Stainless Steel Sign & Card Holder, 6.0" Tall, SSC-6T" is 1. 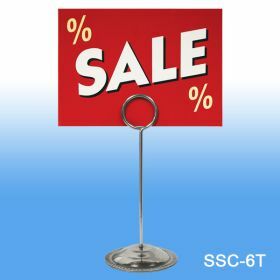 Height of Top of Wire Ring is 6"
Supermarkets, Delis and other types of retailers use this style sign holder item to communicate messages to their customers. It is very simple to slide the sign into the split in the wire ring, it acts the same as a key chain split ring.